Digital India Arises. India’s First Tribal Taluka Gets 100% Internet Connectivity! Khedbrahma in Gujarat is all set to create history as it becomes the first tribal taluka to get 100% Broadband Internet connectivity via WiFi. All the 32 Gram Panchayats of this taluka have been successfully connected to the Information Highway. This exciting news was shared with us by Nagarajan M, District Development Officer, District Panchayat, Sabarkantha, Gujarat. The launch of the internet services will be live broadcasted on Youtube here. Khedbrahma has a pretty interesting history; it is said that Lord Brahma had ploughed the land here, which resulted in a river flowing out of it, which formed the basis of livelihood of the people. In a similar way, this launch of Internet connectivity of all the regions within this taluka signifies the rise of “Digital India”, a vision of current PM Narendra Modi. Way back in 2008, when Modi was the Chief Minister of Gujarat, he had visited Bangalore for an event where he shared his plans of making India powerful by providing Internet connectivity in every nook and corner of the world. Once Modi came to power after a thumping majority, a dedicated “Digital India” Plan was immediately put into place with the announcement that Rs 1 Lakh Crore would be allocated for this project to link every village and town of India with the Information highway. 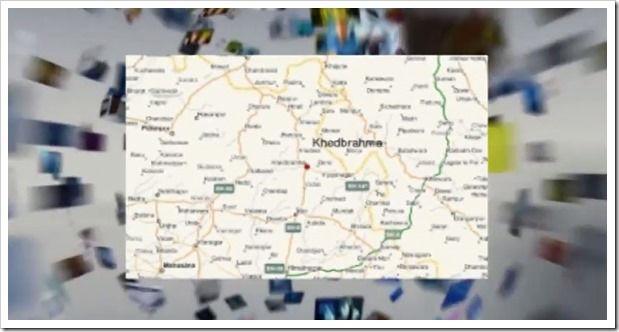 You can the hindi promotional video that talks about Khedbramha Internet Connectivity. But Why Internet and Information Highway? In an event organized by IAMAI in New Delhi, I happened to attend Modi’s live broadcast from Gujarat, where he shared the reason behind his impetus on Internet connectivity. He shared that during the first stage of civilization, rivers formed the base of development as people located to areas near rivers so that they can grow their own food. During the next wave of development, people sought highways as the base of development as the industries and factories needed raw materials. Now, we are in the third stage, wherein civilizations would grow and develop on the aspect of knowledge and information. And to ensure that no Indian is left behind in this progress path, it is very important to have Internet connectivity for all Indians. Although skeptics have been targeting Modi government for announcing too many plans, but implementing very few, tomorrow’s launch of Internet connectivity in this remote tribal taluka will provide a glimpse of the future, which India is soon going to experience. Do you think that this move by the Indian Government will help farmers to have better access to crop information and fertilizers data? Or this is another gimmick to shy away from ‘real’ issues? National Agriculture Market, A Game Changer For Indian Farmers!